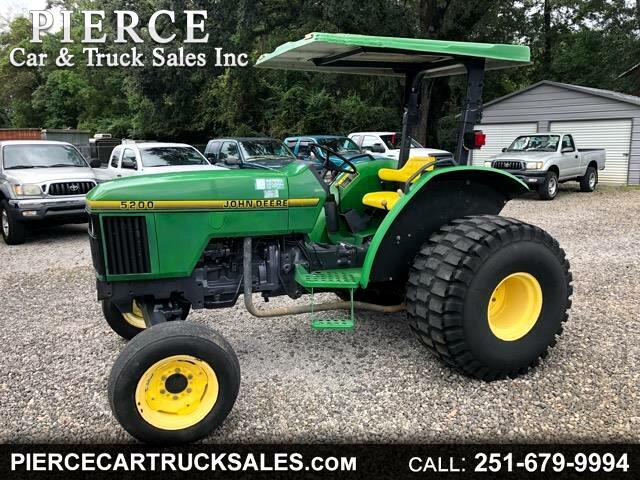 Used 1995 John Deere Tractor for Sale in Satsuma AL 36572 Pierce Car & Truck Sales Inc.
YOU ARE VIEWING A 1995 JOHN DEERE 5200 TRACTOR. ENGINE: JOHN DEERE 2.9L 3-CYL DIESEL. 2WD. GEAR SHIFT. 3,429 HRS. 45 HP. PTO CLAIMED 40 HP. 3 POINT HITCH. CANOPY. IF INTERESTED GIVE US A CALL AT 251-679-9994 OR FOR MORE OPPORTUNITIES VISIT OUR WEBSITE AT WWW.PIERCECARTRUCKSALES.COM. Message: Thought you might be interested in this 1995 John Deere Tractor.